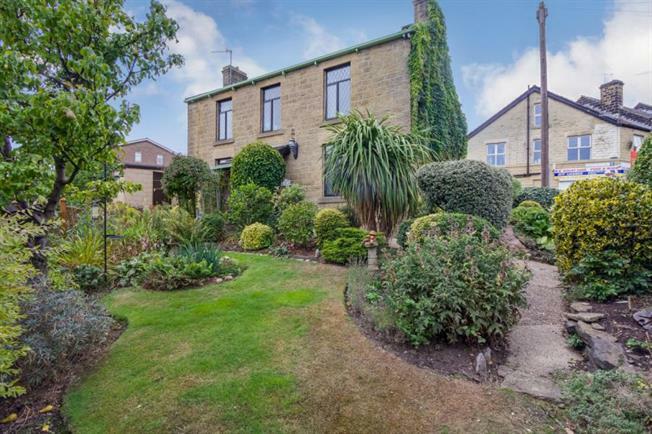 3 Bedroom Detached House For Sale in Sheffield for Guide Price £190,000. This property's price has dropped from £230,000 to Guide Price £190,000. Blundells are pleased to offer for sale the rare opportunity to purchase this beautiful picturesque cottage situated discreetly on the popular Fox Hill Road. The property can be dated back as far the late 1800's and still has some of its original features such as the real slate window sills. This amazing house consists on the ground floor of two generously sized reception rooms with original fireplaces, extended kitchen area and good sized cellar, the first floor consists of a master bedroom with an en suite, family bathroom a double second and single third bedrooms. The external of the property is a sight to behold with very well maintained gardens to three sides of the property and also has a separate private garage. Close proximity of the cottage is local shops and a free house, bus routes with easy access to the city centre or the shops, bars and restaurants of Hillsborough. Offered with no forward chain and available right away. A viewing is highly recommended to really appreciate and capture this spectacular house which could become a lovely home.